Bike the C-Bus Registration Alert! REGISTRATION ALERT! Online payment for Bike the C-Bus goes offline at 5pm today. Starting at 6:30pm tonight registration opens at the Lincoln Theatre on Long Street. We will accept cash or check for tonight and tomorrow morning registrations. Bike the C-Bus 2010 route reminder! Bike the C-Bus route reminder! The ride is broken into sections so riders of all levels can participate. The first section is roughly 6 miles. First and second section is roughly 13 miles. The third section add another 4 miles. The fourth section heads through Victorian Village, campus, the Olentangy Trail past the wetlands and then heads down High through campus. Bike the C-Bus 2010 Registration Reminder! Just a reminder! Online registration ends at 5pm today. We will be at the Lincoln Theatre on East Long Street from 6:30pm-8:30pm tonight (or later if we are swamped) and registration reopens at 8am tomorrow. We will have the limited edition shirts available for purchase. 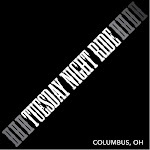 Ride begins tomorrow at 9am and the family ride to the YMCA is at 10am. Over the past several years, the urban core of Columbus has changed, filled in and expanded. In that same period, roads have become safer for those who choose to trek the area on two wheels. Headed southeast through Circleville, then south west to Chillicothe, northwest through New Holland and back to Columbus. Route included 5th Ave, Bexley, Livingston Ave, Greenlawn, Franklinton, Olentangy Trail. What do gardening and landscaping have to do with biking? Nothing - which is what's surprising about a full-service bicycle shop inside a busy Strader's Garden Center. With no outside entrance, most customers wander into the bike store carrying annuals and perennials - and looking confused. Even the manager, before he began working there in March, needed help finding it. "My mom said, 'There's a bike shop inside this garden center, and you should check it out,'" said Tim Spencer, 30. Steve Strader - whose parents, Jack and Ruth, founded the chain of six garden-center stores - persuaded his father to let him open the shop in 1987 after serving in the Navy. "A lot of people probably don't know it's there, but it's nice and cozy," said Strader, 50. "I like it the way it is."